Day three will be a full day outdoors on the rock! Meet location is at The Inner Wall in New Paltz, 9am. Limited to a maximum of 8 participants, 2 participants minimum required. All technical equipment, day passes. Once basic skills such as tying in with the rope, movement and belaying are mastered, climbers are ready to look towards more advanced skills*. The Outdoor Climbing Camp is five days long and designed for participants all abilities who are excited for climbing and interested in learning more. Skills like rappelling, tying a variety of knots and hitches, belaying and climbing movement are taught in this program. All five days are spent outside where new skills can be applied. The week will include as much rock climbing as possible, but will allow one day for a hike and some swimming at the beach (only when a life guard is on duty) at Lake Minnewaska. The actual schedule of activites will fluctuate to take the most advantage of the weather. Rainy day** activities can include; rappelling, hiking, navigation, or indoor climbing. Limited to a maximum of 12 participants, 2 participants minimum required. *please understand this is a group program and while we will work to increase participants skill level, the days will be catered to meet the needs of the entire group. If you’re looking for something specifically catered to your child, or a child who is a strong climber, you may want to consider a private outing. All technical equipment and day passes provided. Once you're comfortable wih the basic and intermediate skills, it's time to take things to a new level. Multi-pitch rock climbing. The Multi-Pitch Seminars are two days long and designed for participants who have participated in our Outdoor Climbing Camp, or have ten or more days of climbing experience under their belt and are interested in learning more. Skills like lead belaying, seconding a climb, multi-pitch rappelling, tying a variety of knots and hitches, belay station management, and advanced movement skills are taught in this program. Our Multi-pitch Seminar focuses on empowering participants and helping them gain comfort on the longer routes. Both days will be spent outside where new skills can be applied on the Mohonk Preserve. 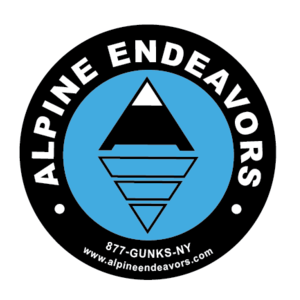 Alpine Endeavors LLC, is an equal opportunity provider and employer.